Following the success of a recent documentation webinar Open to Export, the new digital export advice service from UK Trade & Investment (UKTI) and hibu plc *, has today announced expert webinar sessions during March to help UK businesses learn more about exporting to Asia. A leading skin camouflage entrepreneur based in Rutland has secured success in Western Australia with her clinical services and skin camouflage creams by collaborating with top Australian plastic surgeon Fiona Wood, with help from UK Trade & Investment (UKTI) East Midlands. Outrage As Yahoo Bans Home Working As news spreads and tempers rise about Yahoo banning home working, long-time home workers and Co-Founders of two business ventures promoting home working, Remote Employment and iHubbub, Ken Sheridan and Paula Wynne raise their hands to Sir Richard Branson for being such a fantastic ambassador for home workers. 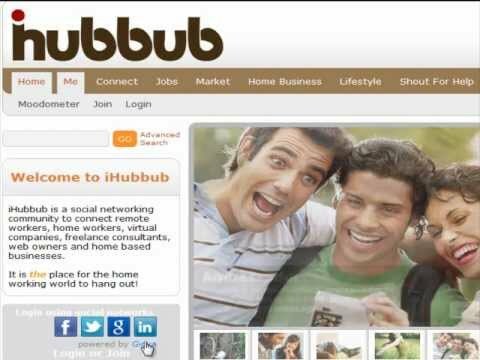 Tonight, a bunch of entrepreneurial pioneers, who have used their talents and passions to come up with fascinating business ventures, were trailblazers in what iHubbub’s eclectic home business community believes to be the first online networking of its kind, where networking took place right from their spare room home office, their shed or wherever it is that they work from home. In its first year Fabulous Women has announced over 47 groups announced across the South East with managers appointed to run 10 regions namely. Millions of people make a huge success out of working together from home, while others fail hopelessly. The new website of Chery Lin Skin Therapy has gone live! Natural, organic skin care lovers now have easier access to skincare that has been created to treat the skin, body and senses as a holistic whole. A businesswoman from the Isle of Man has launched an innovative concept in online shopping, an online plus size clothing boutique called “Beyond Brooke” and has joined an eclectic home business community of people using their talents and passions to come up with fascinating business ventures.